Sports & Fitness Headbands – No Slip & No Headache! Entirely elastic all the way around – no elastic piece in back! #1 Headband that fits EVERY headshape! Sparkly Soul was created for all the women who find their strength and soul while pushing themselves to their athletic limits. We are athletes just like you. Sparkly Soul was created as the comfortable solution for all you athletic fashionistas so there will be no fussing with your hair. 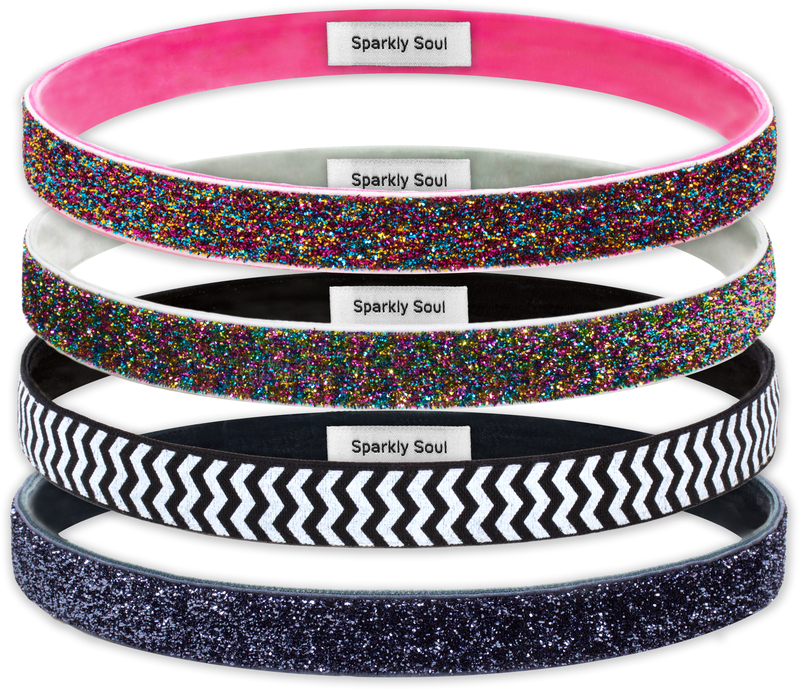 Sparkly Soul headbands are available online at www.sparklysoul.com, Nordstrom, Athleta and Reebok – as well as various retail locations. Email customerservice@sparklysoul.com to help find a retail location near you!